Microblogging site Twitter has rolled out the entirety of its Activity tab to its users after first beginning testing of the feature in August. The tool is the website’s answer to Facebook News feed, sorting follower actions into feeds. Among the actions included in the feed are Tweets added as favorites by users, new follows, retweets and more. For those relying on Twitter for social media marketing, the Activity tool will provide a tool to monitor prospect activity. Using this data will allow companies a new method of tailoring social media content. Seeing which Tweets users are likely to retweet or those they’re likely to follow will help shape tone and timing of new social content. 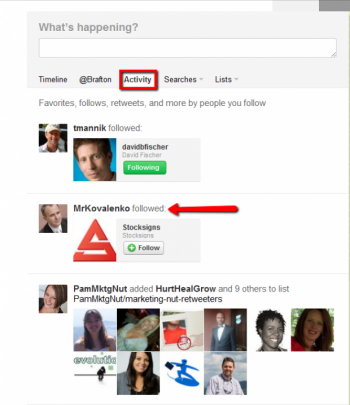 Moreover, it will likely help companies identify new prospects as their existing followers add users to various lists. Twitter’s user base, like those of most major social media platforms, has grown significantly throughout 2011. Brafton reported earlier this year that the company has surpassed 100 million users and new features will likely result in further expansion into next year.